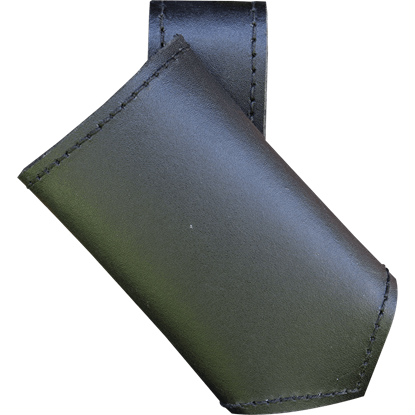 Serving as a convenient way of keeping weapons close at hand, many of our wholesale LARP weapon holders hang from the belt for easy access. Here you will find all our wholesale LARP sword frogs, LARP dagger frogs, and LARP axe frogs. 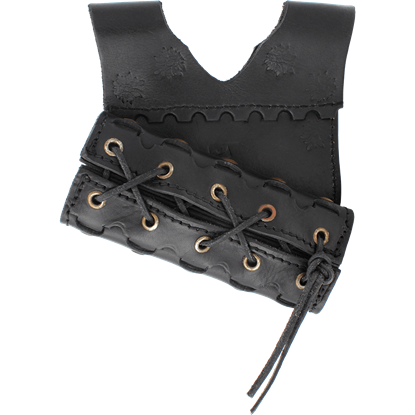 These LARP weapon holders come in a number of different designs and colors, such as medieval, Celtic, and fantasy, and many feature details such as fur trim, steampunk gears, and metal studs. 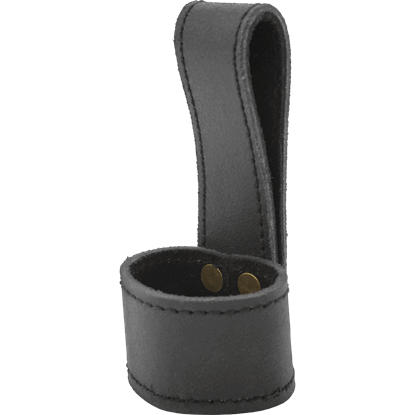 This section is also home to our LARP throwing knife holders that can easily attach to belts or limbs with leather lacing. 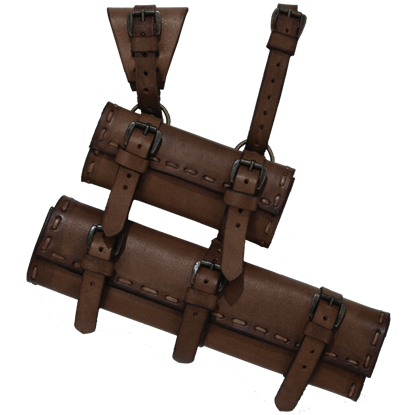 More unique LARP weapon holders offered here include double sword hangers and sword harnesses. 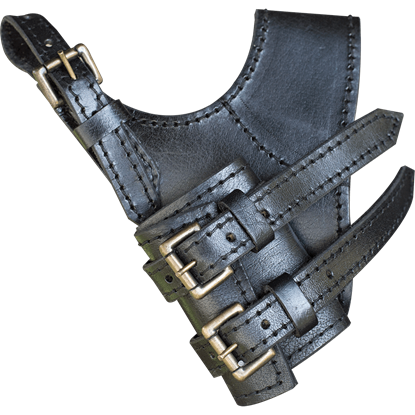 Many of our LARP weapon holders are extremely versatile in their style, and many can also be adjusted to fit different widths and styles of weapons, such as our lace-up sword frogs and adjustable buckle-strap sword frogs. The sight of weaponry on the hip of anyone but a guard can be so unseemly and barbaric! 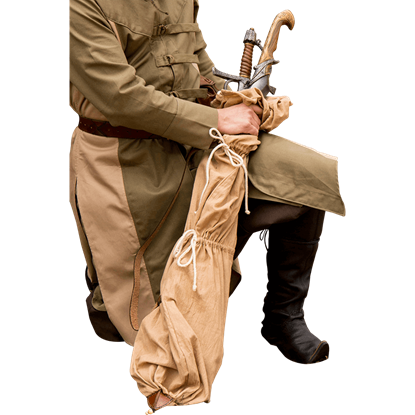 As you journey into town, tuck your weapons away in the Cloth LARP Sword Bag. Nobody will mind you having blades if they cannot see them! 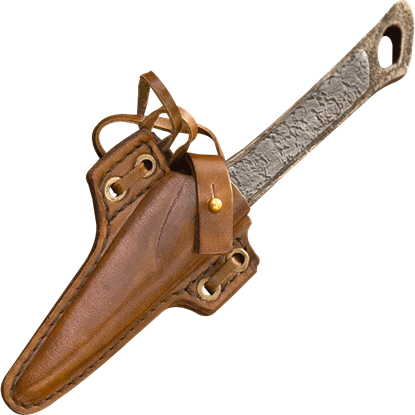 Thieves and roguish characters require knives that can act as both a handheld and thrown weapon, which is why the Cutthroat LARP Knife Leather Holder is perfect for them! With it, they can carry a multi-function LARP blade! Dark Elves, much like their surface-dwelling cousins, utilize elegant, swooping blades that require curved sheathes. 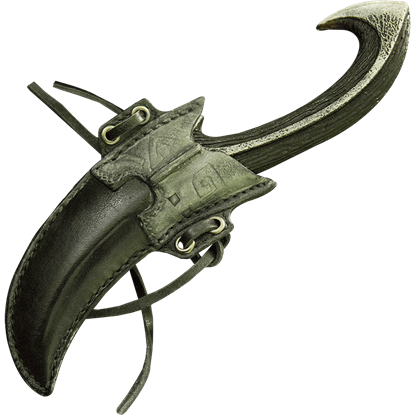 Store your Dark Elf throwing knife in the Dark Elven Throwing Knife Holder and step up your LARP outfit game! When questing on the behalf of an aging wizard, or by the command of a noble ruler, never venture forth without your swords. Treachery and unnatural perils may mar the way, so secure your weaponry with the Double LARP Sword Hanger. 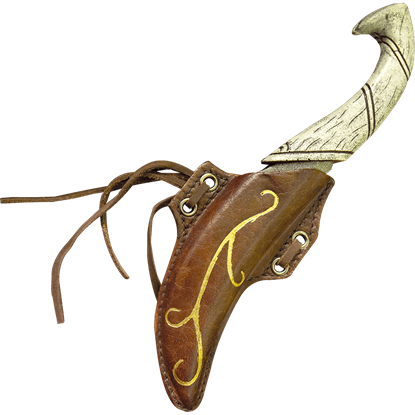 For an elf that needs to deal some damage from a distance, but has run out of arrows, throwing knives are an excellent substitute! 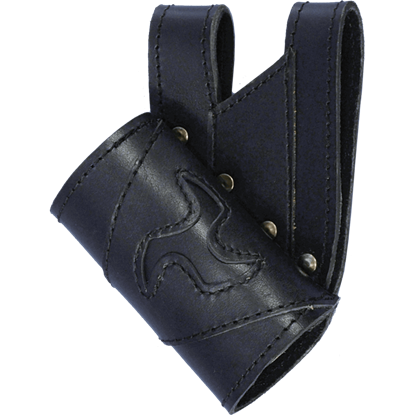 Keeping throwing knives in pouches is a hassle, so store yours in the Elven LARP Knife Leather Holder! Be you a high elf, drow, or wood elf, nothing is more inconvenient, or irritating, than reaching for your sword only to discover it has slipped from its holder. 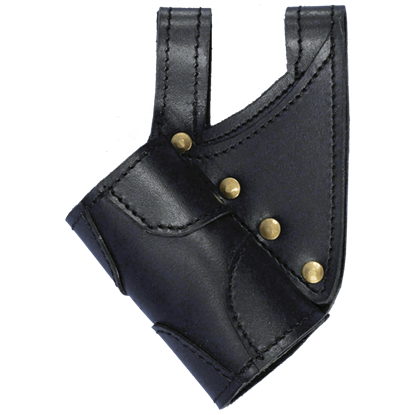 The Elven Leather Holster Hook offers a solution to this common problem. 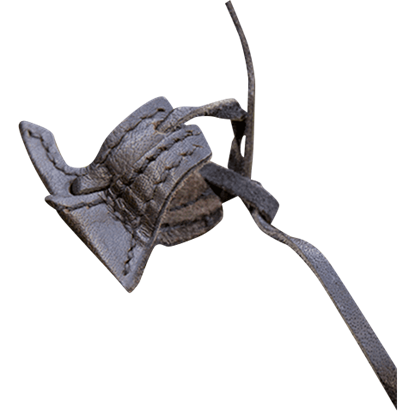 Never leave your sword at home again with the help of this Imperial Swordholder. Guardsmen and fighters within the Imperial family can always be ready to attack or defend when they wear their blade at their hip with this piece. This LARP Celtic Triskel Sword Frog will securely hold your LARP sword, dagger, and even some axes at your waist, making drawing your weapon very convenient. The frog slides on to most belts and will hold a variety of weapons. This LARP Kings Sword Frog will securely hold your LARP sword, dagger, and even some axes at your waist, making drawing your weapon very convenient. The frog slides on to most belts and will hold a variety of weapons.